SPACE, SPACE & MORE SPACE! HOME ESTATE AGENTS are delighted to bring to the market this five bedroom period mid terraced property located within a few minutes walk of Urmston town centre. 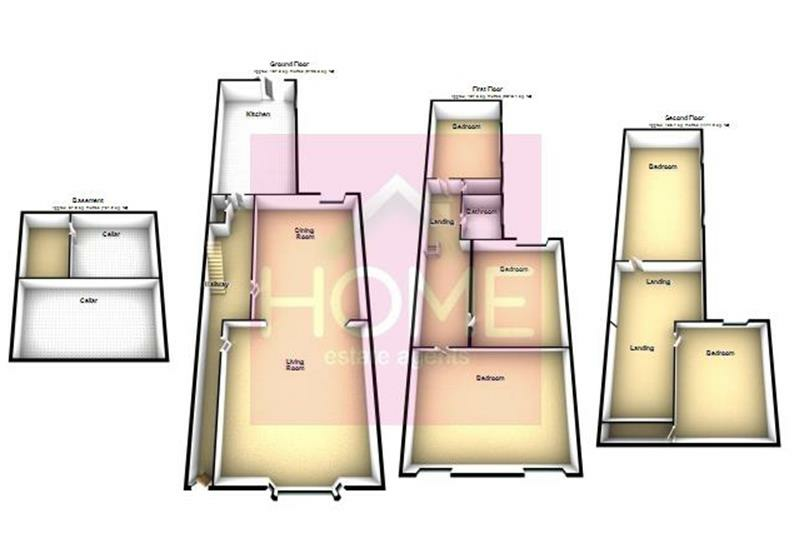 This desireable property boasts space in abundance with well sized living accommodation to all floors. A property full of character and located perfectly to access all local amenities this property is worth viewing. The accommodation comprises of entrance hallway, lounge, Dining room and fitted kitchen. To the first floor are three double bedrooms and a family bathroom with separate WC. To the second floor is a further two double bedrooms. The property also has a useful two chamber cellar is double glazed and warmed by gas central heating. To the outside front is a hailed garden offering off road parking for several vehicles. Whilst to the rear is a substantial mostly lawned garden with raised decked patio area. To book your viewing call HOME on 01617471177. To the outside front is a hailed garden offering off road parking for several vehicles. Whilst to the rear is a substantial mostly lawned garden with raised decked patio area and detached garage. To book your viewing call HOME on 01617471177.